What do we know about the royal wedding? Which celebrities might be at the wedding? 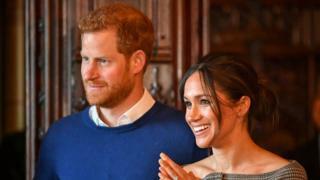 Meghan: "I'm proud of where I come from"
Kensington Palace said Prince Harry and Ms Markle, who will marry in Windsor on 19 May, are "incredibly grateful for the goodwill shown to them".